Here is the oh-so-cheerful documentary entitled, Inside the Court of Henry VIII, for you to enjoy during this holiday weekend. Henry VIII is the most iconic king of English history. Part medieval tyrant, part renaissance prince, he ruled over his people as no king of England had ever done before. He took a country salvaged by his father from the wreck of civil war and set over it a single, sovereign ruler. By the end of his reign the power of the Tudor dynasty was absolute — but at a terrible cost. Personally responsible for the death of two of his own wives, along with many of his closest friends and advisors, he is said to have ordered the execution of up to 72,000 Britons. His reign will go down as one of the bloodiest in history. The Princely Couple of Monaco Attend the 73rd Edition of the Grand Prix de Monaco. On Sunday, May 24, 2015, Their Serene Highnesses Prince Albert II and Princess Charlene of Monaco accompanied by Mr. Andrea Casiraghi, Mr. Pierre Casiraghi, and members of the Monégasque government attended the 73rd Edition of the Grand Prix de Monaco. The princely couple along with thousands of Formula One fans cheered as German-born, Monégasque resident, Mr. Nico Rosberg, won the Grand Prix de Monaco for the second time. Coming in second place was Mr. Sebastian Vettel with Mr. Lewis Hamilton coming in at a disappointing third place. 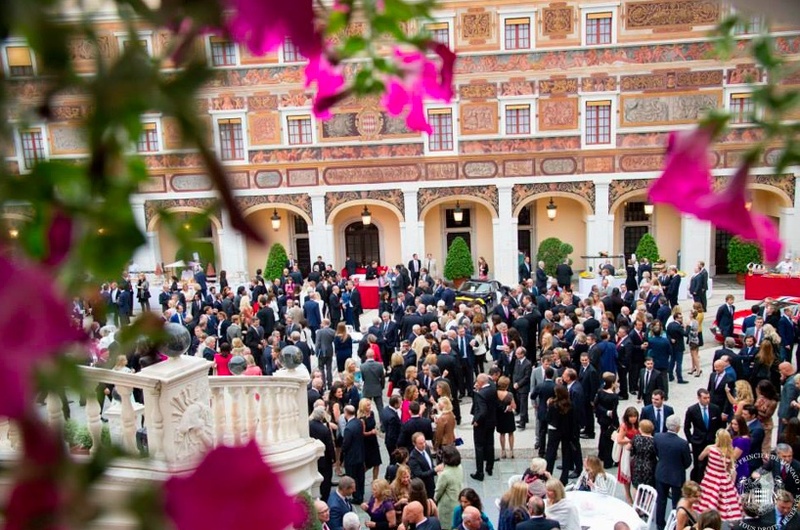 On Saturday evening, May 23, 2015, Prince Albert II and Princess Charlene hosted a reception at the Palais Princier for VIPS attending the famous Grand Prix de Monaco as well as Formula One drivers participating in the legendary race.